We are excited to introduce two new members who recently joined our LifeCare family. 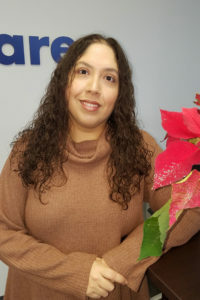 Jennifer joined LifeCare in December of 2018 in the role of the Medical Administrative Coordinator. She is the voice and face of LifeCare and the first person you talk to when you call us! Jennifer will play a key role in ensuring that the needs of our clients, patients, and employees are met while creating a positive and memorable experience. Jennifer has worked in the healthcare industry since her first job as a Pharmacy Technician at Walgreens. Since then she has seen all sides of the industry while working in a variety of roles at the hospital and the healthcare insurance company. 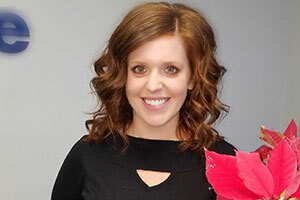 Jennifer chose to join LifeCare because one of her passions is being able to help others, and she feels that she is in the right place to do that. Kassie joined LifeCare in December in the role of the Client Care Manager. In her role, Kassie will work with our clients to help define and implement solutions for short and long term care needs. Kassie comes to LifeCare with an extensive experience working in home care, senior living and rehabilitation environment. In her spare time, Kassie loves spending time with her feisty 6-year-old son: “He’s an adventurous kid who is always eager to try anything. We love being outdoors, traveling near and far, spending time with our family in Iowa, and doing any and all things sports related! ” Kassie says that It’s important to her that he grows up in a kind, loving environment that is family-centered, which is why she finds it imperative that they always tend to their elders, and those in need, as it’s almost inevitable that will all reach that time in our lives. 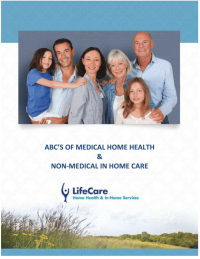 If you or an aging loved-one are considering hiring Home Care in Northbrook IL, call the caring staff at LifeCare Home Health & In-Home Services. Call (888) 606-4199 LifeCare serves all of the Chicago Metro Area.